1-800-ATTORNEY® is a national network of experienced & trusted attorneys. When you call 1-800-ATTORNEY, you are automatically routed to the participating lawyer or law firm’s office in your area. Visitors to the website can find their local attorney by clicking the “Find an Attorney” link at the top of this page. Our website features an array of specialized, experienced and top lawyers in the country. We pride ourselves in being able to connect clients with an attorney who can help them with their case – no matter what the legal issue. What Can I Find on the Website? 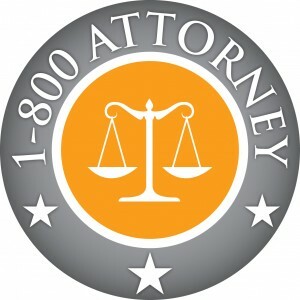 Each attorney in our network has an exclusive profile on 1800ATTORNEY.com where visitors can get to know the firm. Attorney profiles include pictures, business information, areas of practice, hours of operation, a link to their professional website, social media links, and more. Visitors are also encouraged to fill out the provided contact form, which will send an email directly to their local attorney within seconds. On this website you will also find blog posts written by participating attorneys with information on legal issues, news, hot topics, and more. Visitors to the website are encouraged to learn new information and stay abreast of hot legal topics by reading through our online legal library. In 2005, Lawyer Holdings, LLC acquired the licensing rights to the 1-800-ATTORNEY phone number, associated URLs, and trade name. Since then, the company has generated thousands of leads nationwide. In 2014, Lawyer Holdings, LLC began licensing the rights to use the 1-800-ATTORNEY assets to other attorneys in their demographic regions. As a result, 1-800-ATTORNEY has grown into a premier national network of attorneys, connecting prospective clients to trusted attorneys and professionals by leveraging the most exclusive number in the legal profession. To find out more about the 1-800-ATTORNEY legal network, please fill out the form to the right or call us directly at 1-800-704-3578. If you’re an attorney who would like more information on joining our legal network, visit this page.